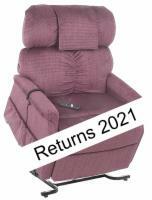 The PR-501L by Golden Technologies is a 3-position lift chair with many exciting features to offer. The high quality craftsmanship is evident in design with the solid maple hardwood framing and double doweling at stress points. 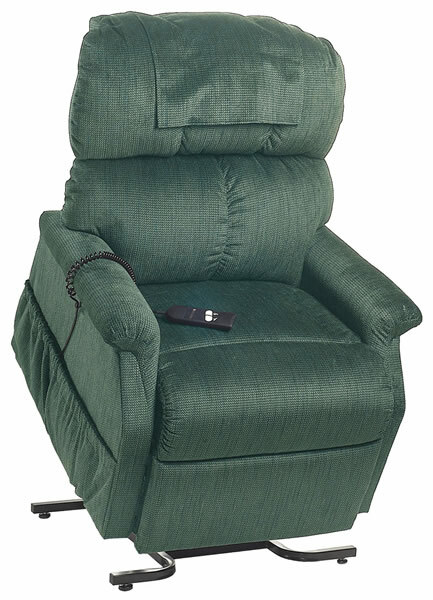 The 3-position recliner is perfect for relaxing, watching TV, or snoozing away for a cat nap. The PR-501L comes standard with arm and head covers and improved filler seam backing for supreme comfort and long lasting durability. Several exciting features you'll find in the PR-501L lift chair include improved filler seam back cushioning, and an integrated battery backup on the lifting mechanism in case of a power outage. Having to settle, Mary from Glendora, CA would not recommend this to a friend. Works Smoothly. Comfortable. Touchable Fabric. Foot extension great. My husband uses this to transfer to and from his wheelchair since he is unable to use his legs. I was disappointed with the way the material is attached to the back of the chair, though, and some of the seams are not sewn well.